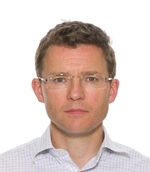 Dan Blackman is a Consultant Interventional Cardiologist at Leeds General Infirmary, Clinical Associate Professor at the University of Leeds, and Honorary Secretary of the British Cardiovascular Intervention Society. After achieving an Honours degree from the University of Birmingham, he trained in Cambridge, Cardiff, Oxford, and Toronto before being appointed as a Consultant in 2005. He is Lead for Interventional Cardiology in Leeds. His main clinical and research interests are in primary PCI and Trans-catheter Valve intervention, with Leeds being the largest centre in the UK for both PPCI and TAVI. Dr Blackman heads the TAVI service and is currently active in leading the introduction of Trans-catheter Mitral Valve Implantation in the UK. He is a committed clinical investigator, and has published over 65 papers in peer-reviewed journals.